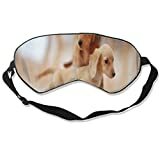 This cool new NodPod is a unique weighted sleep mask that not only blocks out light for a deep, restful sleep, it's gentle pressure also has a calming effect that helps to alleviate stress, anxiety, headaches, insomnia, and eye strain. 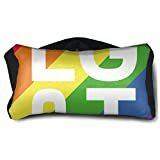 It features soothing micro-beads to give it weight that contours to your face, one side made of cooling cotton and the other made from warming microfiber fleece, and a unique shape that can worn in any sleeping position or even while sitting upright when one strap it pulled through the other. 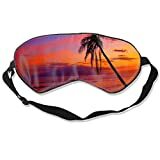 Makes a comfortable anti-anxiety blindfold as well.